The Burmese Bython (Python bivittatus) is one of the five largest snakes in the world, native to a large variation of tropic and subtropic areas of Southern and Southeast Asia. Until 2009 they were considered a subspecies of Python molurus, but now are recognized as belonging to a distinct species. They are often found near water and are sometimes semi-aquatic but can also be found in trees. Wild individuals average 3.7 metres (12ft) long but have been known to reach 5.74 metres (19ft). The record maximum length for Burmese Pythons is held by a female named 'Baby', that lived at Serpent Safari, Gurnee, Illinois, for 27 years. Shortly after death, her actual length was determined to be 5.74 metres (18ft 10 inches). Widely published data of specimens that were reported to have been even several feet longer are not verified. There are dwarf forms on Java, Bali and Sulawesi. On Bali they reach an average length of 2 metres (6.6ft), and on Sulawesi they achieve a maximum of 2.5 metres (8.2ft). Burmese pythons are dark-colored snakes with many brown blotches bordered in black down the back. 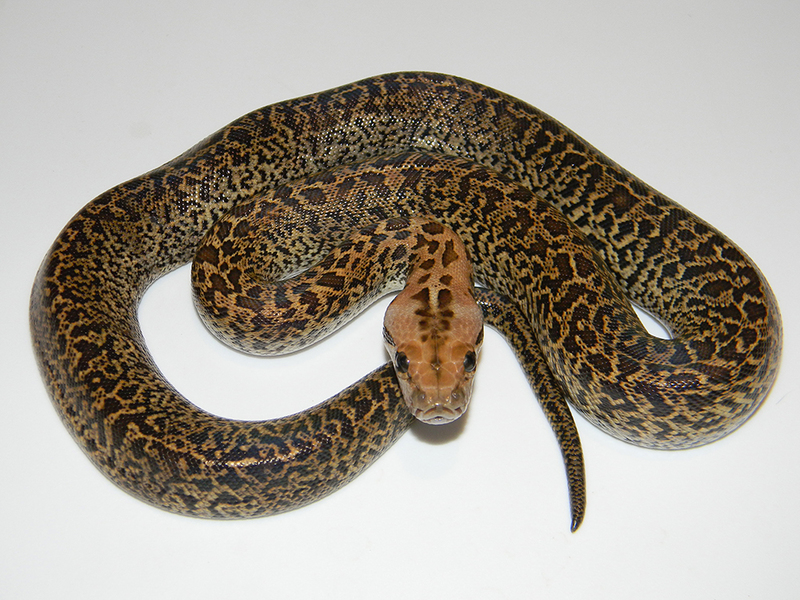 The perceived attractiveness of their skin pattern contributes to their popularity with both reptile keepers and the leather industry. Python invasion has been particularly extensive in South Florida, where a large number of pythons have made their way to the Everglades. 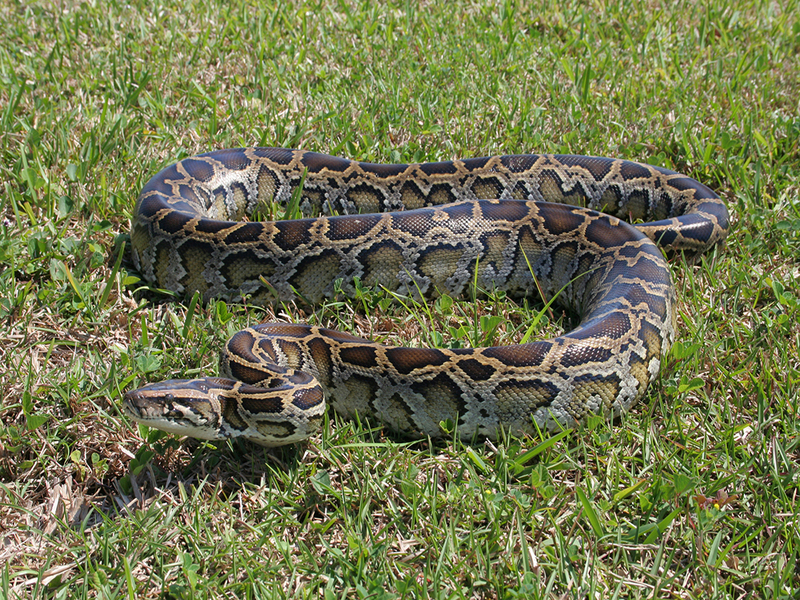 It has been suggested that the current number of Burmese pythons in the Florida everglades has reached a minimum viable population and become an invasive species. More than 1,330 have been captured in the Everglades. 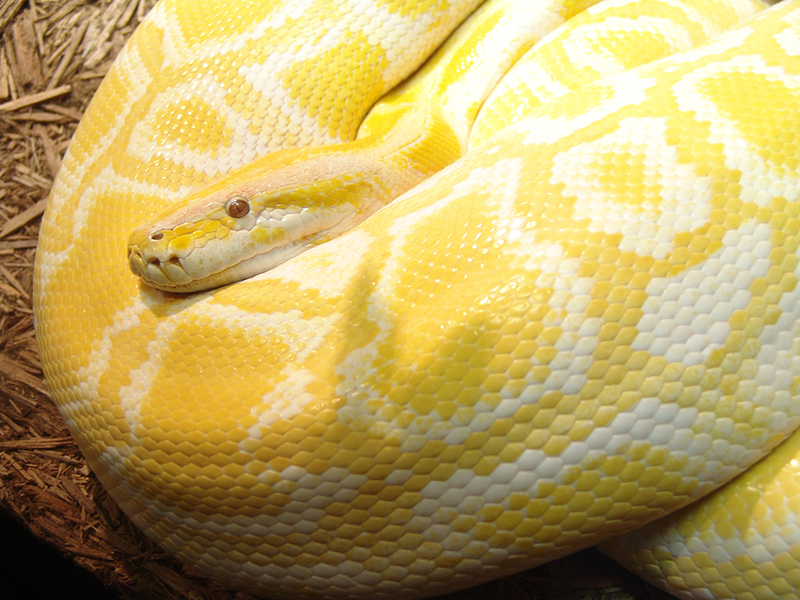 The Burmese python is frequently captive-bred for colour, pattern, and more recently size. Its albino form is especially popular and is the most widely available morph. They are white with patterns in butterscotch yellow and burnt orange. There are also "labyrinth" specimens, which have mazelike patterns; khaki-coloured "green"; and "granite", which have many small angular spots. 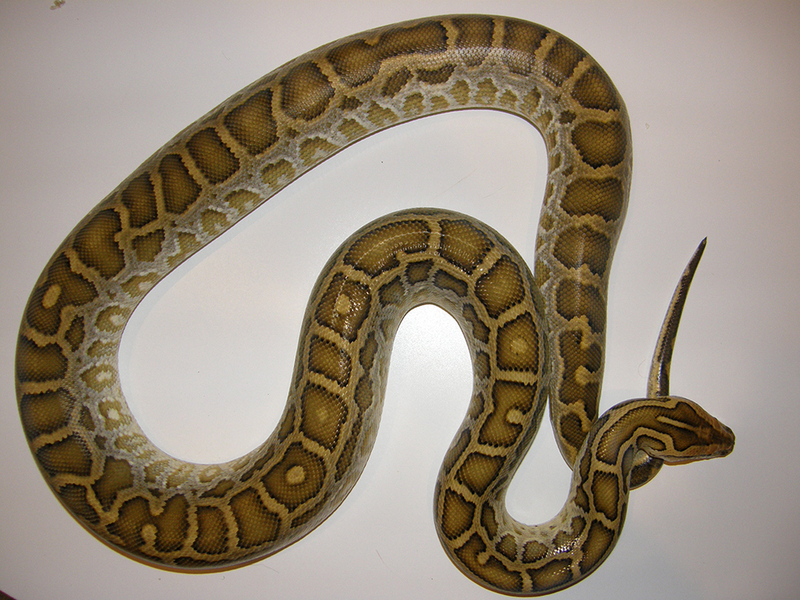 Click HERE for a Burmese Python care sheet.